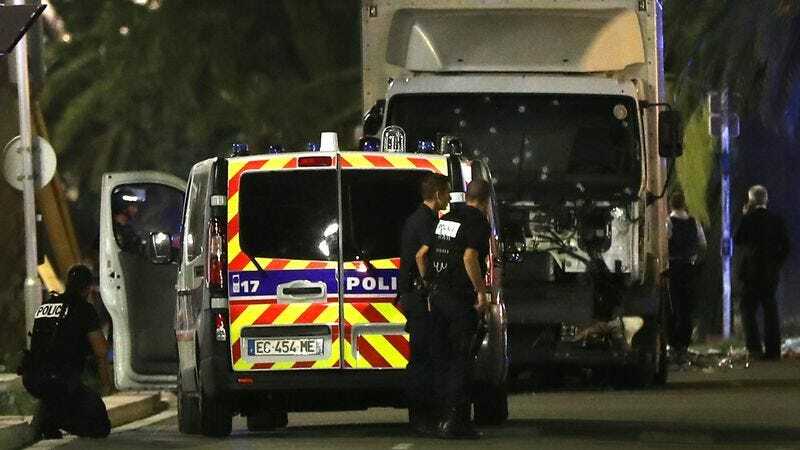 NICE, FRANCE—Following yesterday’s terrorist attack in Nice, France that left over 80 people dead and scores more injured, sources reported that a dazed and utterly dejected global populace halfheartedly muttered the phrase “People are inherently good” to themselves Friday. “While this was a horrific and unspeakable tragedy, it’s important to remember that human beings are, at their core, good, kind, and decent,” residents of every country reportedly mumbled under their breath after hearing the latest updates on the French attack, taking a brief moment to emit a heavy sigh before continuing to speak in affectless, barely audible tones. “The people who carried out this atrocity don’t represent [unintelligible], and we can’t let [unintelligible].” At press time, the world populace began to say “Evil will never…” before trailing off, shaking their heads, and slowly walking away.